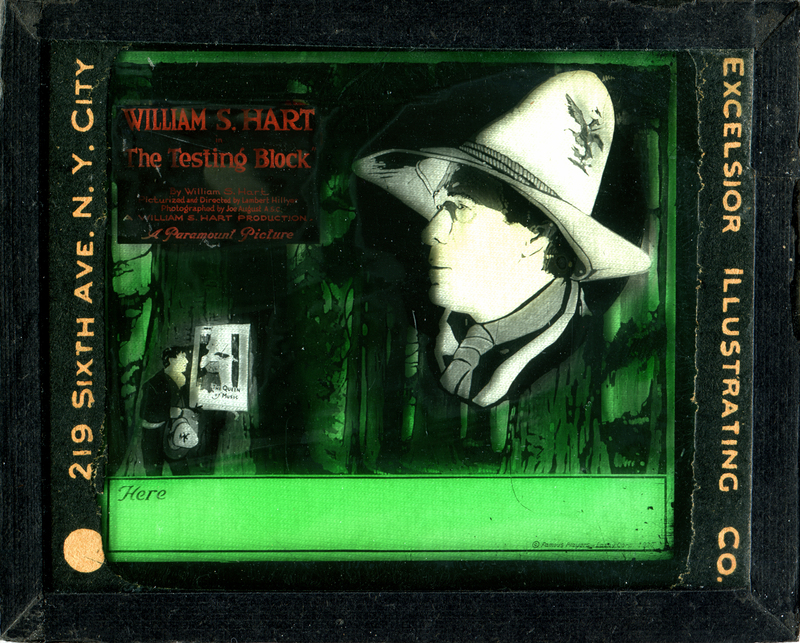 Magic lantern slide for "The Testing Block" (1920), a William S. Hart production that was partially shot in Newhall. Hart plays Sierra Bill, an outlaw who falls in love with a traveling violinist, Nelly Gray (Eva Novak). In this lantern slide, the smaller image of Hart at left is admiring the poster tacked to the tree; it reads, "The Queen of Music." LW2308: 9600 dpi jpeg from original slide purchased by Leon Worden.